Hey Curvies! How's everyone doing? It's staring to warm up here in SoCal and I feel like winter is about to say goodbye. It's a bummer because I like colder season better and I have more coats and jackets that I haven't even worn. LOL. So I really hope it gets cold again so I can share more winter styles to you. I guess this one's part of the last few that I'll be styling and sharing for this winter. Mhan oh man! Shooting this outfit was a pain, it was extremely hot when I shoot this. But what I can I do right? I'm not in control of the weather. 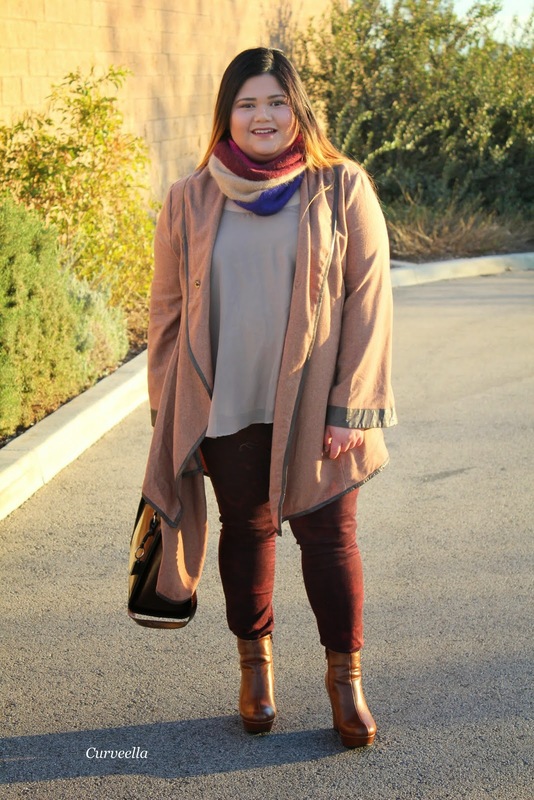 Ok ok let's get to this outfit, today's outfit features this brown coat like cardigan from UMGEE USA + . 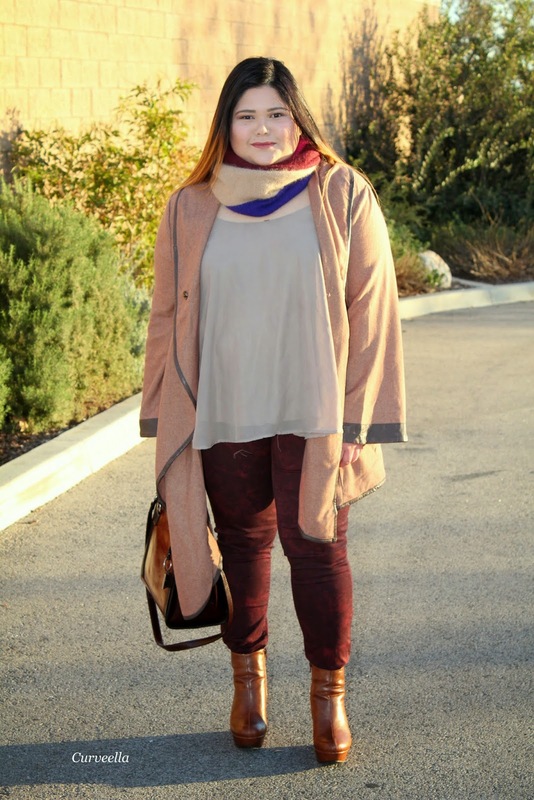 Styled it real simple with like color top and burgundy bottoms plus a pop of circle scarf. That's basically it s stylish winter outfit.